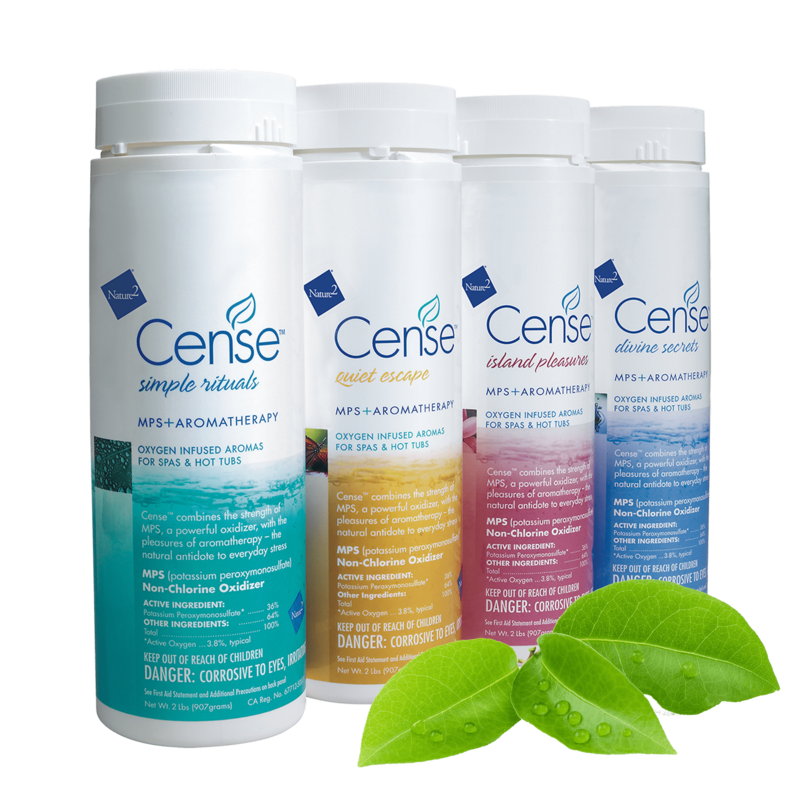 Say goodbye to the abrasive smell of chlorine and take your spa experience to new heights with Cense. 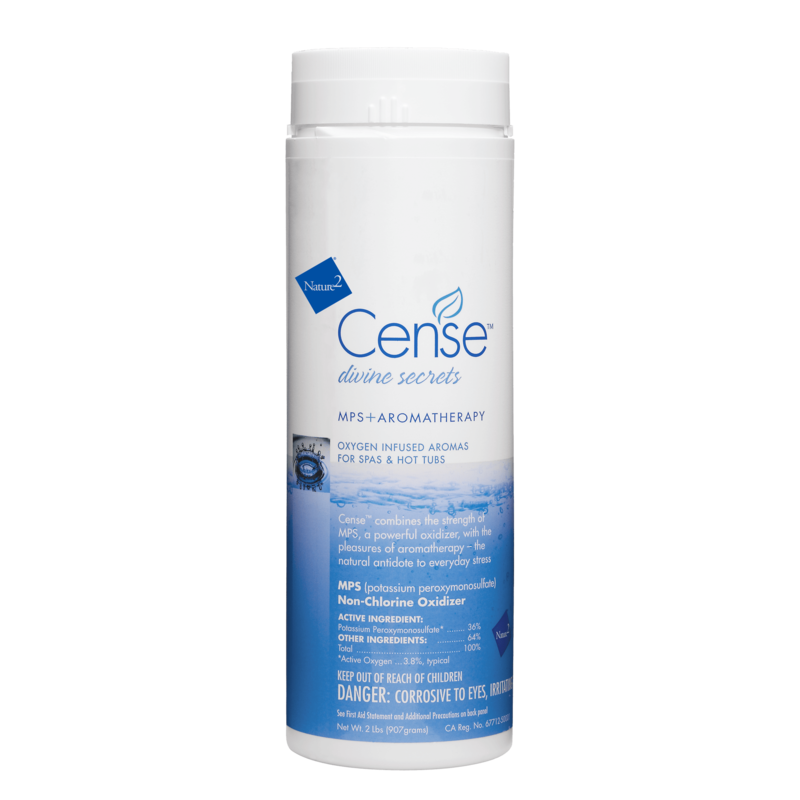 Cense is a powerful non-chlorine oxidizer that is infused with unique soothing fragrances. When used with Nature2 SPA, it is a complete spa sanitizing solution that not only keeps water fresh and clean, but also provides the added benefit of aromatherapy. Cense and Nature2 SPA work in harmony to give the ultimate spa experience without having to use harsh chemicals such as chlorine or bromine. Choose from four unique fragrances to create a personal oasis.